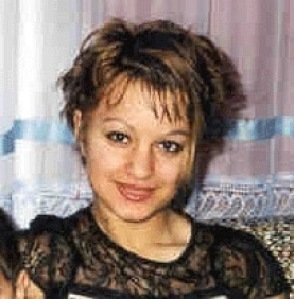 One a February morning in 2002 a fisherman discovered the body of 14 year old Danish Kurdish girl Sonay Mohammad in the Præstø Harbour in Denmark. According to her autopsy, Sonay had been beaten unconscious with a club or a baseball bat and was still alive when she was then dumped in the harbor to die. Sonay was murdered by her father, Ashraf Mohammad because she had a boyfriend. Ashraf had previously already served six months in prison for aggravated assault against Sonay. In 2001 Mr Mohammed tightened a power cord around Sonay’s neck when he found a photo of a boy in her schoolbag. Although Sonay was placed in a foster home, a few months later the Social Appeals Board decided that her parents had the right to their relationship with her. Her caseworkers appealed the decision, but in vain. So when Sonay was found dead, the Board was directly criticized for being partly responsible for the tragedy. Ashraf Mohammad, a Kurdish Iraqi, was released after having served seven years, of the ‘life’ sentence because a rule of Danish law says that perpetrators who are immigrants will be deported back immediately from Denmark after having served half the time of their sentence. His wife, Sonay’s mother publicly supported his actions. They were sent back to Iraq, and it was reported that social benefits from the Danish state enabled Mrs. Mohammad to buy her and her husband two houses back in Kurdistan. The publicity from the tragedy initiated a special unit in the National Police’s Investigative Support (NEC) for designating a resourceful section of employees who could become ‘experts’ in “honour” crime, and begin to form a network with all relevant authorities, organizations, ethnic associations and shelters. Denmark also became the third country in Europe to participate in banning forced marriages in the countries law. In remembrance of the injustice this poor girl suffered. I hope this made the judges of the world wake up to what happens to girls from other countries who disobey their parent’s religious archaic rules.